This is another scene of sakura blooming. 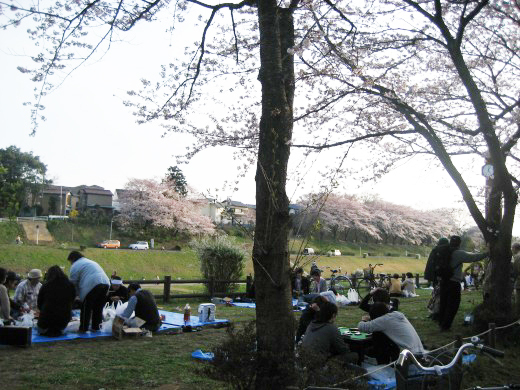 People are enjoying a cherry viewing picnic each and all. Yakisoba is one of popular snacks at a cherry viewing picnic which is often sold at festivals in Japan. 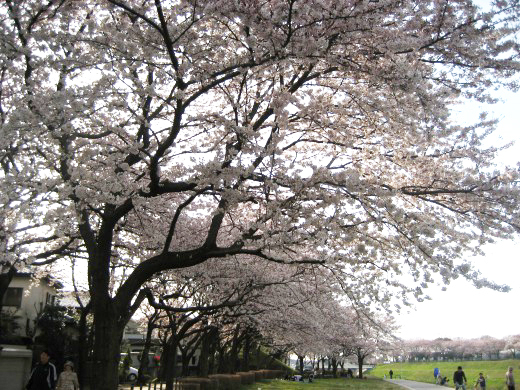 I look forward to going to see the cherry blossoms every year. Hello from New York! I love those trees. I don’t have any of them here. New York has a Sakura Park… with about 2,000 trees I think.